マジで!? MAJI DE!? 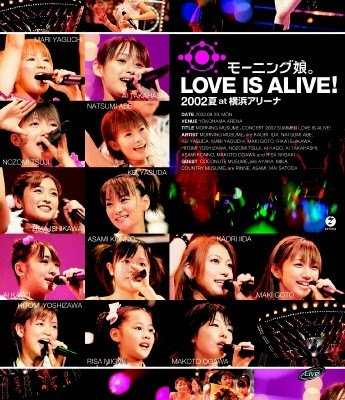 : So how amazing was Morning Musume in their prime? Were they bigger than AKB now? So how amazing was Morning Musume in their prime? Were they bigger than AKB now? Isn't AKB just popular with the kimo-wotas up to now? 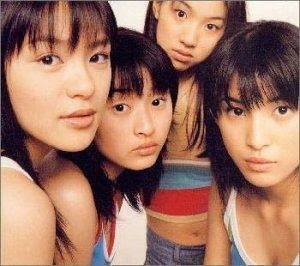 MoMusu worked hard to at least become household names back then. They even had quite a few pretty decent songs. Don't you know that MiniMoni was a strategy devised by Hello!Pro targeted specifically towards the wotas? That was entirely for wotas, much, much more so than AKB. They peaked with "Morning Coffee". And then they didn't make any sense at all afterwards. Well, at least for me, an old man. Who has better singles sales? You just think that way probably because you were still in school back when Morning Musume were hugely popular. I'm sure that the feeling you're holding towards AKB now is exactly how the older guys at that time felt towards Morning Musume. It seemed like they were more popular with the girls rather than the boys. There was at least 1 girl in every class who went to the additional member auditions back then. I can match the names with the faces of each Morning Musume member in my head, but I can only do that for about 15% of the AKB members. That's the overwhelming difference for me. But whatever people may say, AKB's still amazing for releasing all these million-sellers one after another. Their business model may be evil and selfish, but they still produced the results. But when you say million, that's just about 100,000 people, right? But if you were an old guy and you said that you liked Morning Musume back then, people would have called you crazy. People who talk about Pink Lady these days were kids (including people around their 20s) during Pink Lady's peak, and we have almost no more references and materials which would prove what the adults back then thought about Pink Lady. This is mostly the case why our former idols are all being idealized. I don't want you dragging Perfume into this. Perfume's dancing and singing are much more skillful and refined. People used to sing "Love Machine" a lot at year-end parties, right? But there's a huge difference in number there. Did Morning Musume have 50 members? They did seem to sell quite a few during their peak, but the frantic ones are still the kimo-wotas. If it's just popularity, I think AKB is more widely accepted now by both men and women of all ages. It even seems like there are cases where an entire family would go to their handshake events. Same difference I guess, but I think it's AKB's win because they have produced better results. Then again, coming after someone else has a lot of advantages as well. - Their songs and dances were staples during school and office events or parties. - Their song was used the most in wedding ceremonies back then. - The competition during MoMusu auditions was fierce. - Their songs were consistently at the top for a long time at strip joints. But Musume were still considered as novelties even during their prime, unlike SPEED who were seriously recognized for their talent. They're not that different from AKB now. but MoMusu felt like a bunch of girls who wanted to become singers. AKB on the other hand feels like a bunch of girls who just want to become popular. Even Yaguchi did a good job back then. Their golden era was amazing as they were very well balanced. All year-end parties were like this huge chorus of "Love Machine"
AKB just have too many members. If you just look at individual salaries, I think MoMusu was paid better. 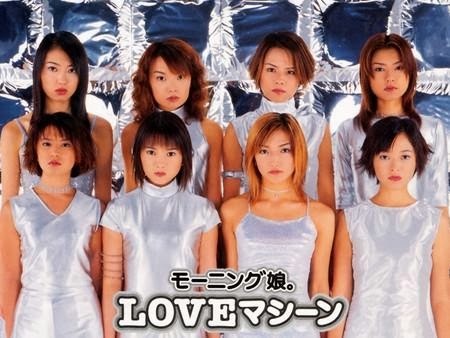 They must have peaked during "LOVE Machine"
Even if they sold millions, 1 million people bought Morning Musume's CD. For AKB, it must only be around 1/10 of that. I think this is how it was. "LOVE Machine" and "Happy Summer Wedding" were popular. With AKB, "Heavy Rotation" was the only one that stuck in people's minds. And CDs were still selling a lot back in the day, so they stood on top even if they had a lot of rivals. But then "Heavy Rotation" has been sung a few more number of times on karaoke compared to "Love machine"
AKB's a group who could sell 1.9 million on their initial release. I don't think there will ever be another monster group like this in the future. Morning Musume who felt provincial lasted only 2 years at the top during those times when anything and everything would sell. AKB shouldn't even be the point of comparison. People are just hung up in nostalgia. However, you could also say that they symbolized the "strength of TV" back then. That was how strong TV was back in the day. My impression is that they're much more decent at singing and dancing compared to AKB. Well, I really didn't give a damn back then as well. Even some of the songs that came out after "LOVE Machine" were well known to the public. Actually, even the songs before "LOVE Machine" were super popular too. People talk about the power of TV back then, then doesn't that mean that it was also the strength of TV that helped plant the image that "MoMusu is amazing!!" among the general public? The way 2chan grew and surged was completely synchronized with the Morning Musume boom, right? The live showtime threads, as well as Kita━━━━━(ﾟ∀ﾟ)━━━━━!!! all started because of Morning Musume after all. Does AKB have a song that will remain even after 10 years which can be called their defining song? The members at this time, and this song, were the best. This is something that will last forever. Morning Musume "Renai Revolution 21"
For AKB, "Heavy Rotation" will be passed on for generations to come. The problem here is that people's awareness level of all these million sellers that they've been coming out with aren't even on the level of "Heavy Rotation". I think their well-known songs other than "Heavy Rotation" were "Aitakatta" and "Flying Get", so the latter would fall into the description of a popular million-seller. AKB should be grateful to Kintaro. Where's Osamu Mukai these days? Jin Akanishi in the December issue of "VoCE"
TOKIO may be idols, but how are they as a band? Did you guys see Rena Nounen in "Kayou Surprise"? 2nd generation talents who have succeeded? Just how much is Golden Bomber earning? Is Mitsuhiro Oikawa an ikemen by 2ch standards? What happened to Ai Kago's face? Σ(Дﾟ;/)/…ｴｴ!? Has MomoClo really lost momentum?